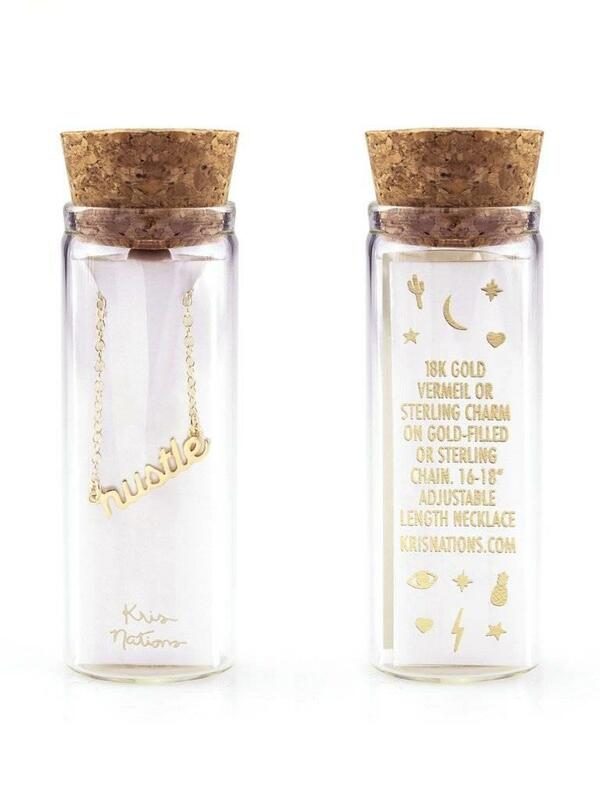 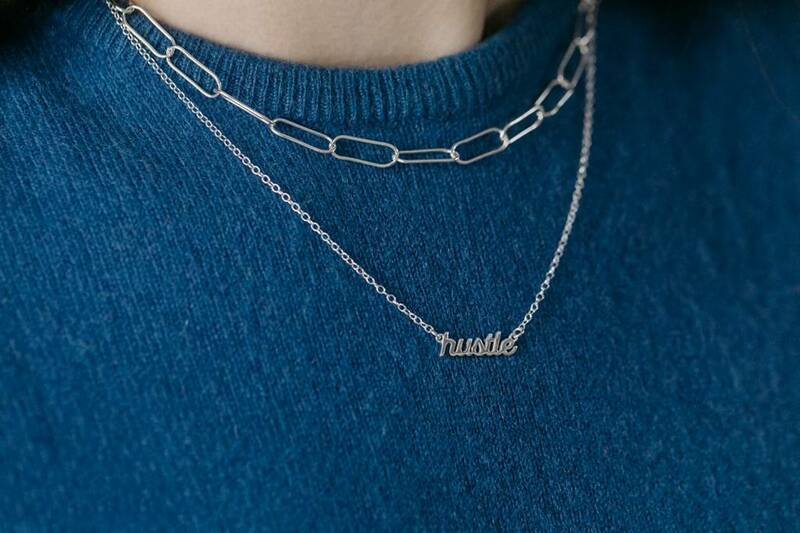 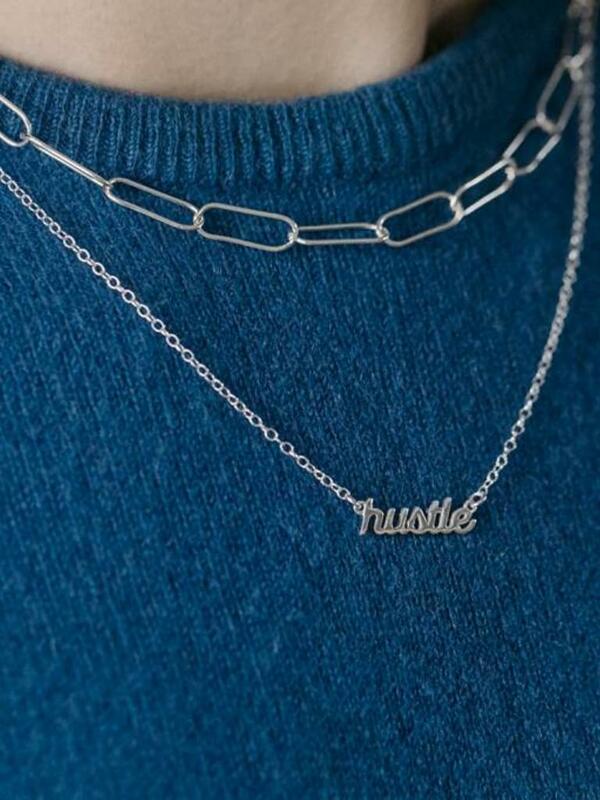 Get your hustle on with this beautiful, no fuss necklace. 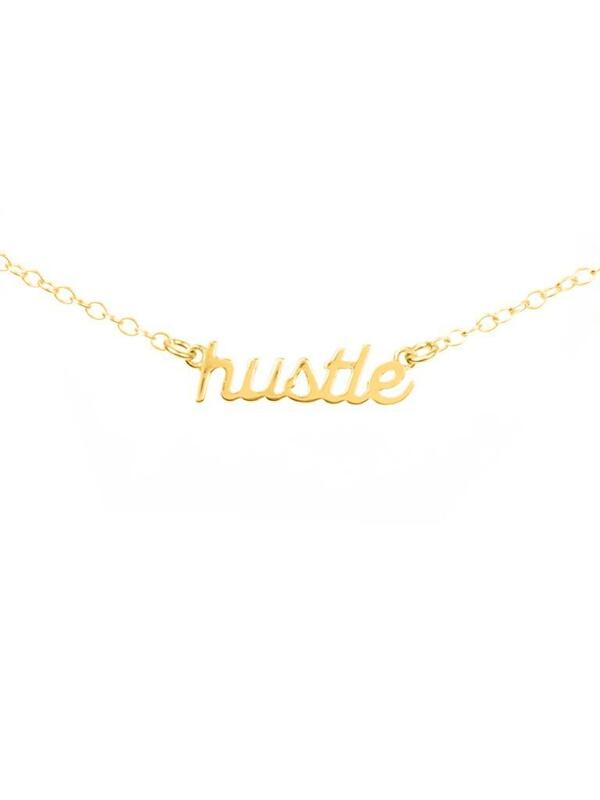 18K gold vermeil or sterling silver charm on gold-filled or sterling silver chain. 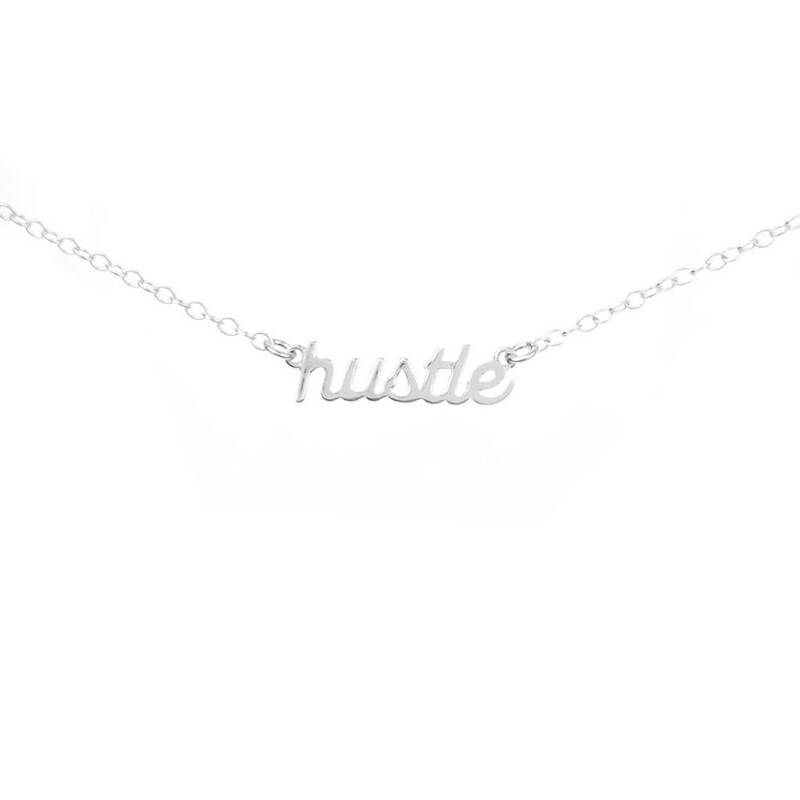 Pendant measures approximately 0.75" wide. 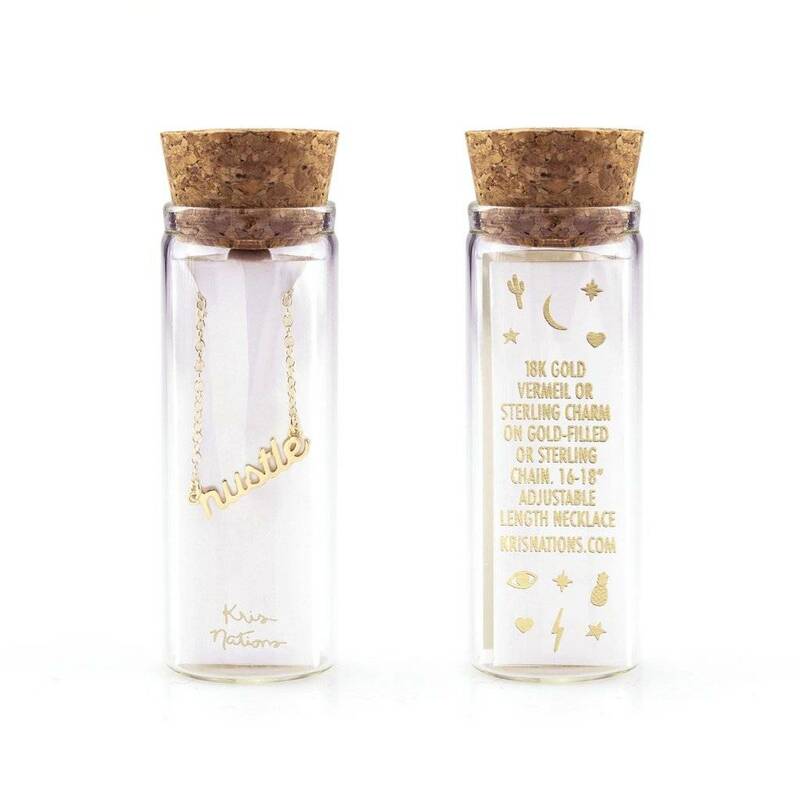 Packaged in Kris Nations glass bottle with cork top.